Rhomberg, as he shows in this book and in an earlier work on Oakland, California entitled No There There1, is anything but naive. His historical portrait of post-1945 Detroit, as background to the strike, is an almost textbook case of the race-class dynamic in America. Detroit, coming out of the mass CIO strikes of the 1930s and 1940s, was the American union town par excellence; in 1945, 60 percent of the population belonged to a union or was related to a union member. Yet, at the very height of the 1943 wildcat strikes in auto, against the no-strike pledge, Detroit was also torn apart by race riots in which 34 people died—17 of them blacks killed by police. The post-war era saw little respite, with white opposition to integrated housing an ongoing reality.2 White flight to the suburbs began in the 1950s and, as early as 1958, there were 25 new suburban auto plants; that flight accelerated after the 1967 riots in which 43 people were killed. By 1990, 2.9 million people, 95 percent white, lived in a suburban ring, surrounding a hollowed-out city of less than one million, majority black people and shuttered factories. (Contemporary propaganda blaming “overpaid auto workers” for the current devastation of Detroit is naturally silent on this dynamic.). Militant late 1960s actions by the League of Revolutionary Black Workers had forced auto companies to hire black foremen and also forced the United Auto Workers (UAW) to hire black staff.3 In 1973, Detroit elected its first black mayor, Coleman Young, who remained in office for 20 years. The decline, however, was relentless: Detroit in 1950 had 1.8 million people and 300,000 manufacturing jobs; by 2000, 62,000 such jobs remained within the city. Following the 1967 riots, a much-trumpeted attempt to remake the dying downtown area, where unrented commercial space abounded, was a failure; it featured the ill-fated “Renaissance Center,” which lost $130 million in its first five years. By 1982, 250,000 auto workers had lost their jobs; 42 auto-related companies closed between 1978 and 1981 alone. Membership in the UAW fell by nearly half, from 1.5 million in the late 1970s to 800,000 by the late 1990s. The following weekend, two thousand pickets kept the plant shut for ten hours, after which the DNA brought in helicopters, managing to take out only one-fourth of the Sunday edition. At 4 AM, a caravan of tractor trailers exited the plant, some at considerable speed; there were, however, only a few minor injuries to pickets. Three days later, a judge issued an injunction restricting pickets to ten at the main plant entrance. This anticipated move nonetheless back-footed the union leaders, who claimed it was not clear how many people were willing to risk an escalation of possible fines and jail sentences.7 The decision to halt mass picketing as a result of the injunction provoked some serious opposition from rank-and-file militants; Rhomberg does not mention this,8 nor does he mention that both the recent Pittston strike of 1989–90 and a more recent Teamsters strike in 1994 had defied injunctions and won. Whatever its limitations and its immersion in exactly the New Deal “accord” touted by Rhomberg, the CIO in the 1930s was itself built by defying court injunctions.9 The unions instead fell back on their “corporate campaign” strategy of circulation and advertising boycotts, and pickets went to distribution centers around the city. The DNA ultimately lost $90 million in the first six months of the strike, but they had shown a willingness to escalate by “any means necessary,” an escalation the unions and their rank-and-file were, for better or for worse, unwilling and/or unable to match. Nonetheless, concludes Rhomberg, “for a year and a half, the strikers had fought and in many ways won the battle of Detroit, But the newspapers’ response raised doubts as to whether the struggle could be decided at the urban metropolitan level.” International leaders of the six unions were increasingly pushing for a “settlement.” Responding to this pressure, the unions in the MCNU in February 1997 decided to make an unconditional offer to return to work14 and to gamble on having the strike declared the result of unfair labor practices, which would require reinstatement of strikers and “back pay liabilities of $250,000 per day.” The papers insisted it was an economic strike and took back only certain strikers. Some of those taken back were generally downgraded and took major pay cuts while scabs took over their original jobs. Returning printers had to attend a week-long “orientation” that consisted of a large dose of “verbal abuse, gloating and sarcastic treatment.” They were later put in an isolation room with nothing to do, and “had to ask permission to go to the bathroom or get coffee.” They remained in what was dubbed the “decomposing room “ until February 1998, costing the company $1 million, before they were finally put back to work in the composing room. The focus turned to the NLRB. The unions were planning a huge march, “Action! Motown 1997,” beginning on June 20, with supporters coming from as far away as San Francisco. This was further pitched, says Rhomberg, as “part of the renewal of the United States labor movement under AFL-CIO president John Sweeney.”15 Emotions were further ramped up on June 19, the day before the weekend event was to begin, when a local NLRB judge ruled that the newspapers had indeed been guilty of unfair labor practices, implying almost total victory to the strikers: reinstatement with full back pay and all scabs laid off. Euphoria took hold. The weekend included a teach-in at Wayne State, benefit concerts for locked-out workers, an interfaith religious service and nonviolent protests (one at the home of a DNA CEO in upscale Grosse Pointe Farms); all of this was followed by a march of perhaps 100,000 people and a mass rally. Trade unionists came from 45 states and from twelve countries. It was in fact the largest rally in Detroit since the 1947 UAW demonstration against the Taft-Hartley Act, and was unfortunately destined to be no more successful. Sweeney spoke of “dignity and respect,” and Trumka called on the newspapers to be accountable to a “democratic public.” For Rhomberg, furthermore, the NLRB ruling “illustrated the power of the state to fix the meaning of events.” Indeed.With almost 20 years hindsight, and knowing what ultimately happened, it is hard not to be cynical. The culminating weekend event, Action! Motown 1997, impressive as it may have been, had the smell of respectability about it, what French militants call “la manif de l’enterrement,” i.e., the funeral demo. The institutions of official society—“civil society” in Rhomberg’s idiom—had held together, and justice seemed to be at hand, won ultimately not in the streets or at the plant gate, but through the NLRB. And even that eventually proved to be an illusion. Despite the euphoria, the newspapers were not beaten, and were preparing an appeal of the NLRB decision. Various contract complexities created a “shell game” that lawyers on both sides would fight out in a legal labyrinth. One might say that the unions and the papers had battled each other to a standstill “on the ground,” and henceforth everything would be in the hands of judges and lawyers. Where was the spirit of the old IWW, for which lawyers were “shysters” and barred from membership? Rhomberg is quite right that the institutions of the New Deal were confronting a new drive against workers, but was not the problem precisely those institutions’ ongoing ability to channel militant struggle onto the terrain where raw power—class power—was no longer decisive? 1. Chris Rhomberg, No There There: Race, Class and Political Community in Oakland (University of California Press, 2004). This book shows, against Gertrude Stein’s remark used in the title, that in fact a great deal happened in Oakland, from mass KKK rallies in the 1920s to the general strike of 1946 to the rise of the Black Panther Party in the 1960s. 2. See Thomas Sugrue, The Origins of the Urban Crisis: Race and Inequality in Postwar Detroit (Princeton, 1996). 3. James A. Geschwender, Class, Race and Worker Insurgency: The League of Revolutionary Black Workers (Cambridge UP, 1977). 4. See Stan Weir, “The Rank-and-File Revolt,” in George Lipsitz, ed., Singlejack Solidarity, 2000. 5. Gannett in particular owned many other newspapers around the country, most of them non-union, and had an eye on Wall Street’s evaluation of its profit margins. It represented the more hardball force in management, which the Knight-Ridder management of the Free Press did not oppose. 6. See Stephen Franklin, Three Strikes (New York, 2001). 8. One somewhat exasperating aspect of Rhomberg’s book is his use of the term “unions” with absolutely no critical attention to dissidence within them, In fact, a “Unity for Victory Caucus” had formed precisely to pressure union leaders to return to Sterling Heights (ibid). ACOSS (Action Coalition of Strikers and Supporters) was another independent pressure group pushing for national action. 9. One Teamster said later, in spring 1997: “[F]or much of the strike, (our energy) was bottled up by the old-style tactics of the presidents of the six striking unions. They seemed to feel we could win the strike by walking in circles outside the plant gates…in an era of replacement workers (this attrition strategy) no longer works. We made a huge error in the strike’s early months by not defying the injunction that prohibited mass picketing…We had crippled the papers’ Sunday distribution…when we let the courts open the gates, we took away our main weapon…” Labor Notes, April 1997, p. 9. No statement of this kind is quoted by Rhomberg. 10. This echoed, for example, the more intense pressure brought to bear on Local P-9 of the UFCW (United Food and Commercial Workers) meatpackers in Austin, Minnesota, in 1985–86, the only local to reject the shredding of the union contract, and which then struck for 18 months, with broad outside support, before going down to defeat. 11. The RICO law was ostensibly created to combat organized crime, but it seems to have been used more against unions. The DNA lawsuits were only settled out of court in 2000. 12. Labor Notes, November 1995, p. 5, not quoted by Rhomberg. 13. The 1989–90 strike was set off by an attempt of the Pittston Coal Company to halt health care and pension benefits to miners, their families and retirees, an attempt which was defeated by miner militancy at the pits and a solidarity campaign by the United Mine Workers that brought tens of thousands of working-class supporters to southwest Virginia. Despite Rhomberg’s occasional references to the non-violent character of the Pittston strike, there was plenty of low-key violence brought to bear in guerrilla actions by miners, often at night and primarily against company property. 14. 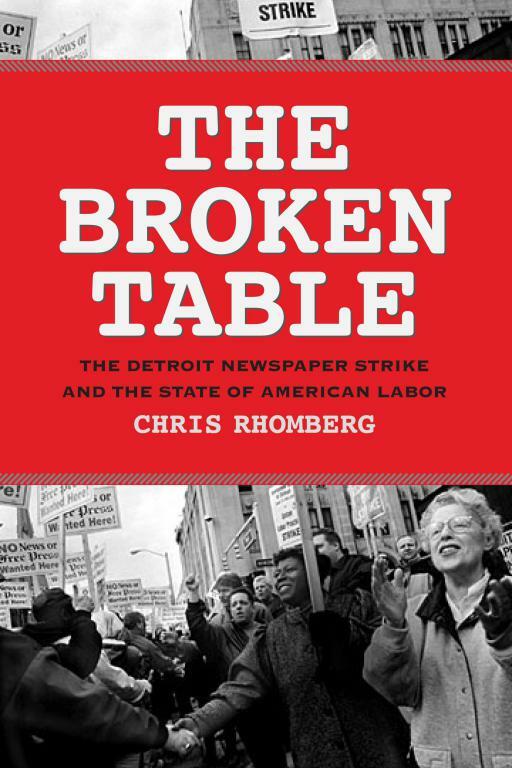 Once again, Rhomberg omits a key “fact”: the New York Times reported, in early 1997, on the occasion of Clinton’s second inauguration, that Teamster president Ron Carey, CWA (Communication Workers of America) president Morton Bahr, and other top union leaders had decided to order the Detroit strikers back to work with no membership vote. Eric Chester wrote in the Industrial Worker (newspaper of the IWW) that “Last summer [1996 —LG] union leaders began secretly discussing a plan to end the strike. This fall, as Carey sought re-election in a hotly-contested campaign, he neither explained how he would win the Detroit strike nor did he reveal the ongoing discussion to end it. Once the election was over, and the votes counted, Carey joined two other international presidents in unilaterally ending the strike with an unconditional offer to return to work. This decision was not only made without consulting the rank-and-file, but over its adamant objection.” Reprinted in Impact, v. 5 no. 3, June 1997. 15. One laid-off worker from the defeated Staley strike in Decatur, Illinois, asked the appropriate question: “Will the weekend be more than a symbolic display of unity?” Labor Notes, June 1997, p. 7. Unfortunately, given the high-profile labor principals involved in the mobilization, from Sweeney on down, that is exactly what it was. 16. On the latter, see the concise book on the computerized and surveillanced work place by Simon Head, Mindless: Why Smarter Machines are Making Dumber Humans (2014).